One of the things I hated the most about a regular 9-5 was missing out on beautiful weather. Those first few nice days of Spring when it’s sunny and warm, but you’re stuck behind a desk and the sun is setting by the time you get off work – those days were torture. Every time the weather is like that, I remember that trapped feeling and I’m so thankful for the freedom to work outside if I want to or delay my work for a few hours just to enjoy the beautiful sunshine. 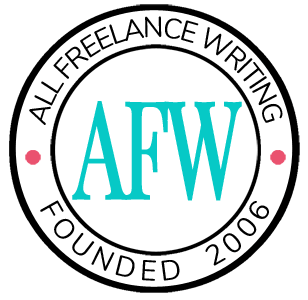 I just finished writing about the costs of running a freelance writing business. I immediately started thinking about the other costs – the things that you give up to be a freelance writer. Travelling on someone else’s dime. When you work for a company with several different operating locations, there’s a great opportunity to see various parts of the country or even the world. I travelled more during my years in corporate America than I had in my whole life prior to that. My first trips to Chicago, New York City, and Puerto Rico were company paid trips. As full-time freelancers, we typically have to pay trips from our earnings even if they’re business-related. Great health care. Up until I actually started freelancing full-time, I assumed all health care plans were the same. I thought it’d be easy to get another health care plan that was just as comprehensive as the one offered by my corporate employer. Boy, was I wrong. While many of the best parts aren’t effective until 2014, President Obama’s Health Care Reform will solve a lot of the health care problems for solo self-employer workers. That’s if Congress doesn’t repeal the law. Dedicated workspace. I’m yet to live in an apartment with enough space for an office. So, for the past six years, I’ve been working on the dining table, the sofa, the bed, the floor, wherever is comfortable and least distracting at the time. As confined as it was, I do sometimes miss the seclusion of a cubicle. But, on the upside, I can always see the sunlight from wherever I work inside my home. Employer-matched retirement contributions. I never participated in my employer’s 401(k) matching program. Back then I didn’t realize how important it was to save for retirement as early as possible. Not contributing also allowed me to create a cushion that I used to launch my full-time freelancing career. Working for a company has its perks. For many of us who decide to freelance full-time, the perks don’t outweigh the freedom of being your own boss. I don’t miss the politics, the constant pressure to climb the corporate ladder, and the lack of freedom over what I worked on. And I definitely would't trade back. Oh so very true LaToya. I can totally relate to all of this, especially the working on the couch, floor, bed, etc. But, like you said, at least there is sunlight and good coffee always available! Even though it’s been a long time since I’ve had to deal with things like long commutes and office politics, I’m reminded of them every day. My husband deals with that kind of thing now, and he’s understanding more and more why I said “to hell with this” and went out on my own years ago. The only downside for me now is that I’m basically tethered to his job instead of my own. For example, I can’t just say “hey, let’s go away for a week” on a whim anymore because he’s stuck in corporate constraints — at least until he’s able to go out on his own full-time too. While things like losing his health insurance and such are certainly concerns, we all have to prioritize. For me that will always be loving what I do. And the corporate world just wasn’t it. Nice post! I work full-time while doing freelance on the side, trying to build up enough to go full-time freelance. There are two things I’m going to love – 1) Monday mornings not having to rush to work early to do reports and 2) Being paid for *production* instead of time. There’s nothing more frustrating than getting done at work at having to sit there for two more hours because you’re paid by the hour. It’s a terrible penalty on being efficient. If you’re a travel writer, you could travel on someone else’s dime if your client is a travel company. Of course, you can always connect with folks in various travel organizations and be asked to go on media trips. That’s my freelance/travel writer tip for today! I too have dedicated workspace which is nice… was reminded reading this post of another freelancer in a whole different industry who said “we entrepreneurs will work 16 hours to avoid working eight.” That’s me, sometimes. I’m blessed with a dedicated workspace, too. I had an office at my last 9-to-5: complete with a window and a door. Same here, only better. It’s inches from my own bathroom, kitchen, and library. You make a good point about the traveling on someone else’s dime. Not so much these days, but it was a great perk when companies were still spending for conferences. I was able to go to San Francisco, Chicago, Atlanta, Orlando and even Cayman on their dime. We can still do that if we attend seminars and conferences on our own (tax deductible business expense), though it does come out of our pockets before any reimbursement. All completely true – in fact, these are actually a list of the things that also scare people off from working freelance! It is actually incredible how much you are forced to learn simply by choosing to embark on a freelance career. Thanks for this great post – this has inspired me to write a post about the best parts of being a freelance employee!